South Korea's premier 5-star hotel group, The Shilla, is extending beyond native soil into China. An affiliate company to the giant Samsung Group, Shilla has earned numerous international accolades for its two luxury home grown properties – The Shilla Seoul and its sister resort on the southern island of Jeju, The Shilla Jeju. 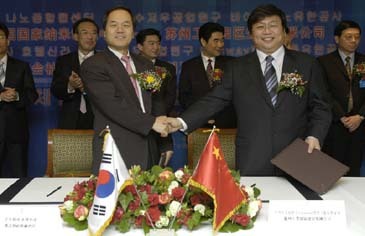 For the first time it is now exporting the Shilla brand, signing a management contract to operate the new 5-star The Shilla Suzhou for Genway (www.genway.net), local developers of the property that is scheduled to open in May, 2006. The brand new 308-room hotel is a distinctive new landmark in Suzhou beside the picturesque Jinji Lake. With six restaurants, one conference hall, nine functions room and one banquet hall accommodating up to 400, it is the first luxury 5-star business hotel in the city, located in a prestigious development area close to Suzhou International EXPO. 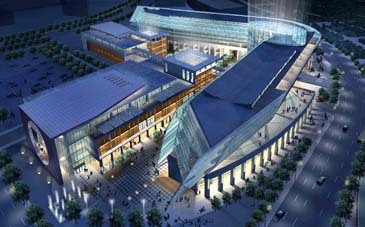 It has been designed to combine modern art with traditional Chinese style by international architects Hiller Architecture (www.hiller.com), the firm behind projects such as the Ritz-Carlton Philadelphia and Grand Hyatt Shanghai. Announcing the deal taking The Shilla brand abroad, General Manager and CEO, Mr. Man-Soo Lee, said, "It is a significant milestone for us, extending our brand ‘The Shilla' overseas." The Shilla is one of Asia's most admired hotel groups, with The Shilla Seoul consistently voted South Korea's top hotel by international polls and repeatedly named in Conde Nast Traveler's prestigious Gold List of the 'World's Best Places to Stay' . Travel + Leisure also included The Shilla Seoul in Its '500 World's Best' awards for 2005 – as 'Best Hotel' in South Korea, where it was also the only hotel to achieve the ranking. America's Zagat Guide rated The Shilla ‘Best Business Hotel in Seoul' – while the prestigious annual Euromoney poll recently named it Seoul's favourite hotel for the fourth year running. With one of Seoul's most prestigious business addresses at The Shilla Seoul, as well as the 5-star resort The Shilla Jeju, the group is a member of both The Leading Hotels of the World marketing network. Its new venture, The Shilla Suzhou, aims to introduce world-class luxury with the most modern facilities and amenities and innovative dining to Suzhou. It is a 10-minute drive to the Shanghai-Nanjing express highway and 76 kms from Shanghai Hong Qiao International Airport. The Shilla Suzhou is in Modern Square, Wangd SIPO215021 Jiangsu Province, Peoples Republic of China.